I picked this up at my local nursery today. 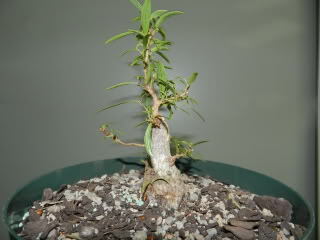 It has a very straight trunk, I know, but I plant to chop it about half way and have the upper portion as a cutting, then have the bottom portion as more of a shohin. I just thought I would post this and let you all see my plans and whether or not you agree with me. I have chopped one of these before and gotten a great amount of backbudding, so I'm not afraid of not receiving back bud. I will also place this in my indoor greenhouse for recovery. 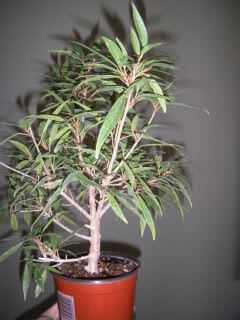 I am waiting to chop it before I repot it. 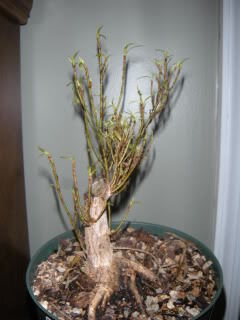 In Spring, when the tree can be outside, you will want to repot the stump and spread out some roots. This was not the best time of year to take these actions, even if you have a greenhouse. I have a greenhouse and live in Florida and wouldn't do it. 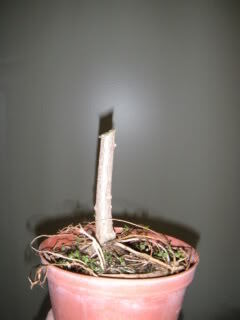 Billy M. Rhodes wrote: In Spring, when the tree can be outside, you will want to repot the stump and spread out some roots. 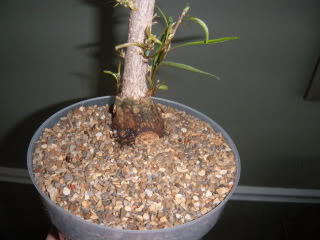 Do Willow Leaf Ficus normally grow these rounded roots, or is it just from being in a small pot for too long? I was told at the nursery that they normally grow these, no matter the pot size. 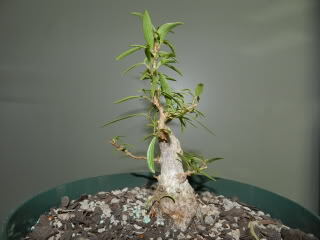 Billy M. Rhodes wrote: Do Willow Leaf Ficus normally grow these rounded roots, or is it just from being in a small pot for too long? I was told at the nursery that they normally grow these, no matter the pot size. 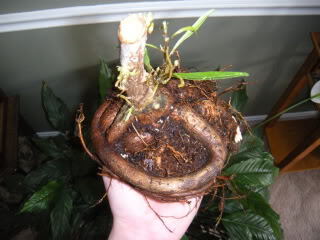 I will cut that big root up next repot. I read an article online about how some (Jerry Meislik?) 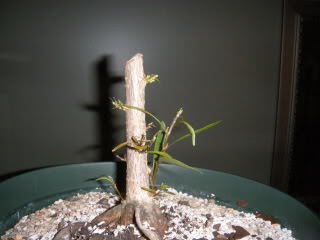 cut off a Willow Leaf Ficus root and actually made a tree out of it. 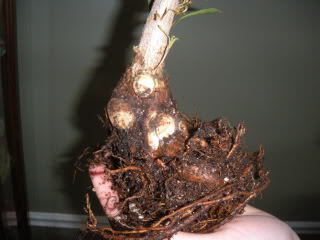 If that article is true, I would love to try it with this big root. Jerry Meislik knows what he's talking about. He has written a book about Ficus. Storm wrote: Jerry Meislik knows what he's talking about. 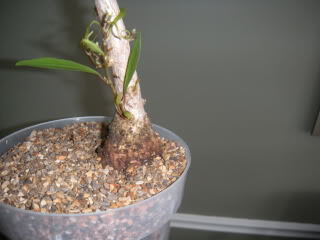 Ficus roots will frequently sprout to form new trees. 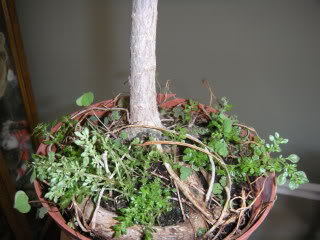 Somewhere on the Forum, Rob Kempinski posted a photo of his tree which I think he grew from just such a root. 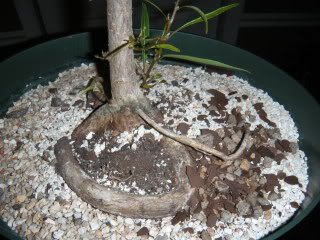 Billy M. Rhodes wrote: Ficus roots will frequently sprout to form new trees. 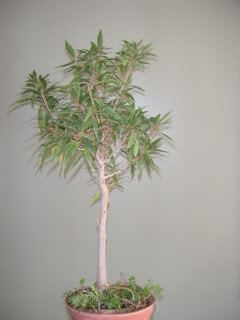 Somewhere on the Forum, Rob Kempinski posted a photo of his tree which I think he grew from just such a root. Unfortunately due to the huge curve this root has I doubt it would be able to become a tree. 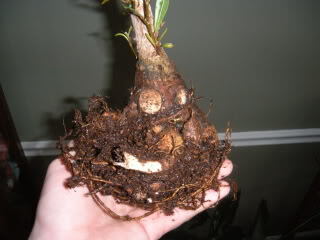 You plant the root on its side just as it is growing, only with a little more than 1/2 exposed above the soil. 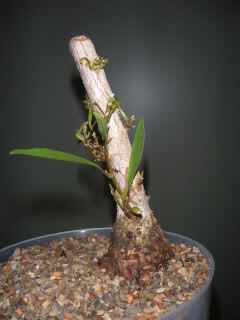 It should sprout from the cut end and possibly along the length also. Boy, I really hate these roots. It kills me to see them. 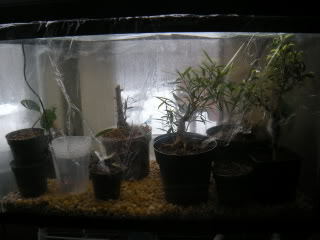 I might repot, remove the roots, and keep it in the aquarium. Good to see that the tree has back budded well. As you say comes as no surprise... Yes the roots on the lower half of the original tree do look ugly. Do away with them.... or as Nike would say "JUST DO IT"
I had the day off of school today, so I went ahead and removed a majority of those big ugly roots. Boy, they were everywhere! The roots wrapped around and around and around. Only took me about half an hour to remove the hideous ones. I did leave some rather large ones, but they were lower down and I didn't want to take all the life away from the tree. I think it's somewhat of an improvement. These are the roots I removed, should I try rooting them? 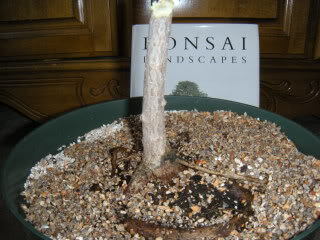 Yes, bury most of the root in soil leaving a small area exposed, it should sprout. 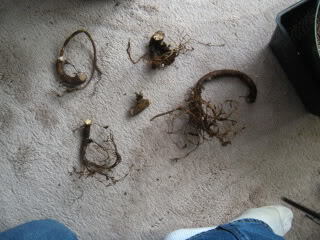 Billy M. Rhodes wrote: These are the roots I removed, should I try rooting them? Thanks Billy. 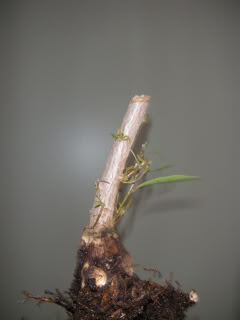 Why bury most of the root? Why not bury the section I want roots to sprout? Thanks again. The root is already a root, what you want is green growth to feed the root you already have. Billy M. Rhodes wrote: The root is already a root, what you want is green growth to feed the root you already have. Oh I understand. 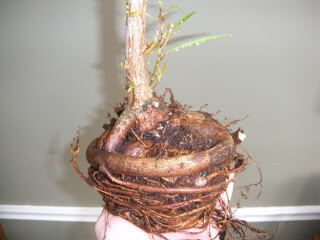 I also need the root to grow real bark so that it does not dry out. Makes sense, thank you. I stumbled upon this old thread today and thought I'd update with how this tree is doing. Comments are welcome.